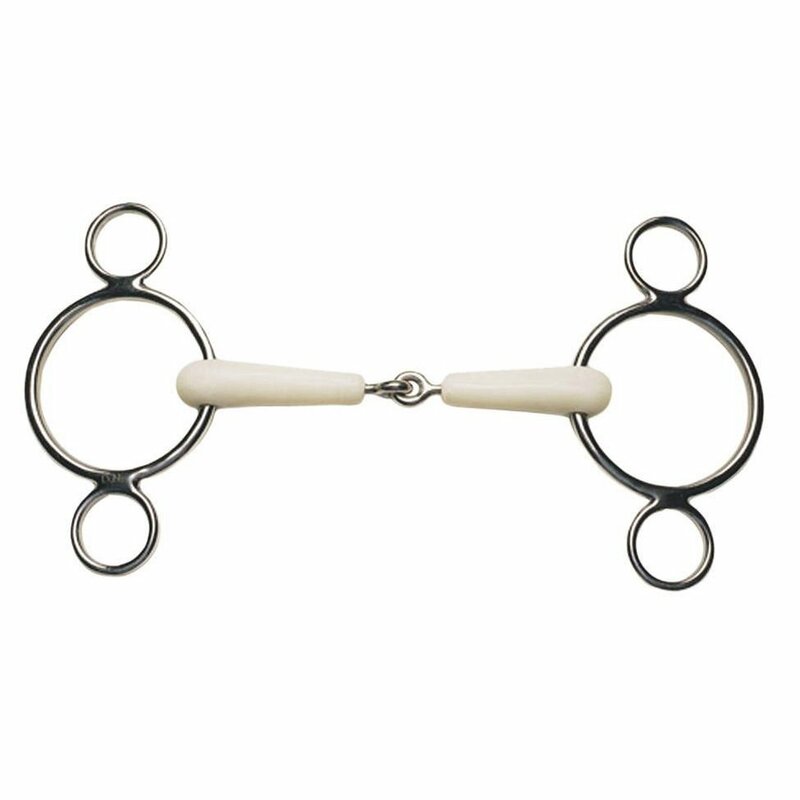 The Eldonian Happy Mouth Jointed Dutch 3 Ring Gag is a loose ring bit with additional rings above and below the main ring to make a dutch gag. The mouthpiece on this Eldonian Dutch Gag is single jointed and made with an engineered plastic that features a stainless steel core. Eldonian made the original Happy Mouth Bits and continue to make high quality bits that are softer in the horses mouth. This Eldonian Happy Mouth Jointed Dutch 3 Ring Gag is apple scented to encourage acceptance of the bit and the plastic mouthpiece is soft, flexible, non-toxic and long lasting. It is vital all Happy Mouth Bits are correctly fitted and the right size in the horses mouth to ensure they don't become chewed. Please ensure your horse's teeth are checked regularly and avoid using a chewed or marked bit.